On Tuesday, 29th August 2017 the SAP Fiori for iOS – Build Your First Native Mobile App openSAP MOOC will start and today the System Setup instructions are available and I am very excited about this! Over the last couple of months I have been involved in developing the app which you will build as part of this course. The backend for the app is based on OData. During this course you will learn how to download the SAP Cloud Platform SDK for iOS and how to use various controls from the SDK, like e.g. 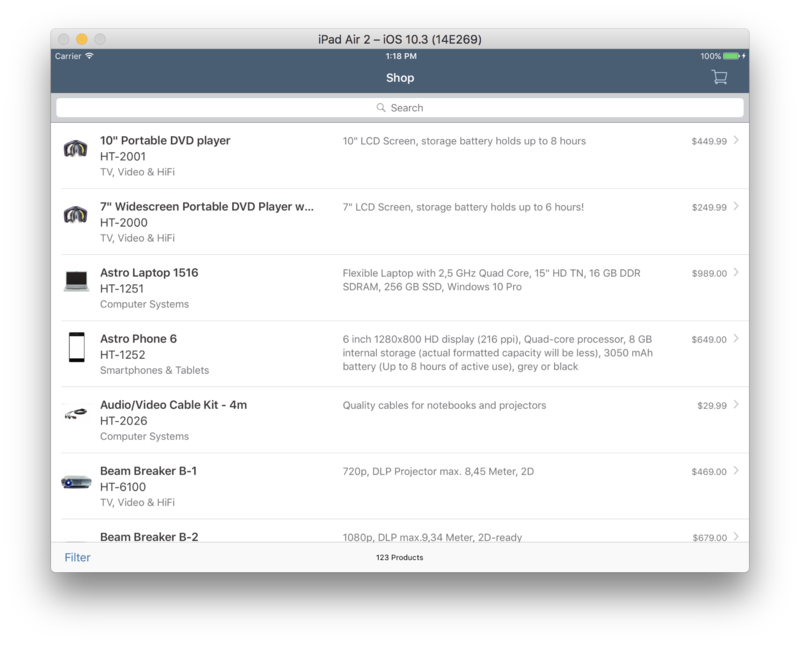 the Object Cell, Filters, Search Bar or how to onboard users. You will also get an introduction into OData and how to use it within the SDK. You will also learn how to perform OData CRUD operations and how to perform query operations like sort and filter. We will build a shopping cart app where we can have a look at the different products, their details and their images. We will be able to search for products and sort them via different criteria. You can add those products to the shopping cart. 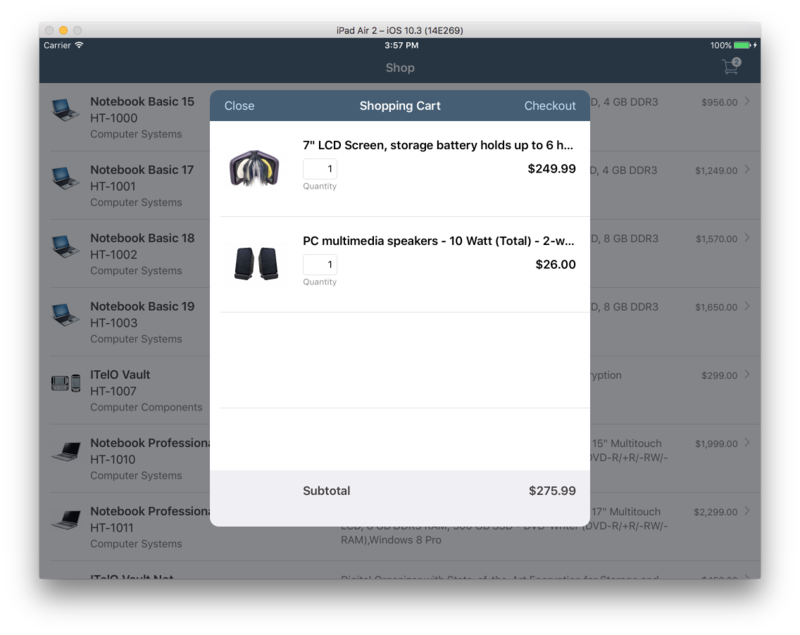 You can also modify the shopping cart (update quantity or delete item) and perform a check out at the end. From a developer perspective you should have some experience in developing iOS applications with Swift and you should feel comfortable using Xcode, this would be the best starting point. If you have programming knowledge but no Swift/Xcode experience you should give it a try, as my colleague Hansi is explaining everything in detail, so you should be able to follow along. My colleagues and I will be around in the discussion forum of the course and will answer your questions. I am looking forward to what kind of apps you will build after the course with the SDK with your newly acquired knowledge and good luck for your final exam! Can I do hands on using my Window 7 professional operating system? this is a native iOS development course with Xcode which can only be done with an Mac operating system. You need an Apple Computer with Xcode 8.3 installed – the hands-on part of this course cannot be conducted on a PC. Hi Arun, As an alternative we can rent a Mac in cloud and connect remotely to perform the required development activities. http://www.macincloud.com/ is one of the good service i have come across recently.